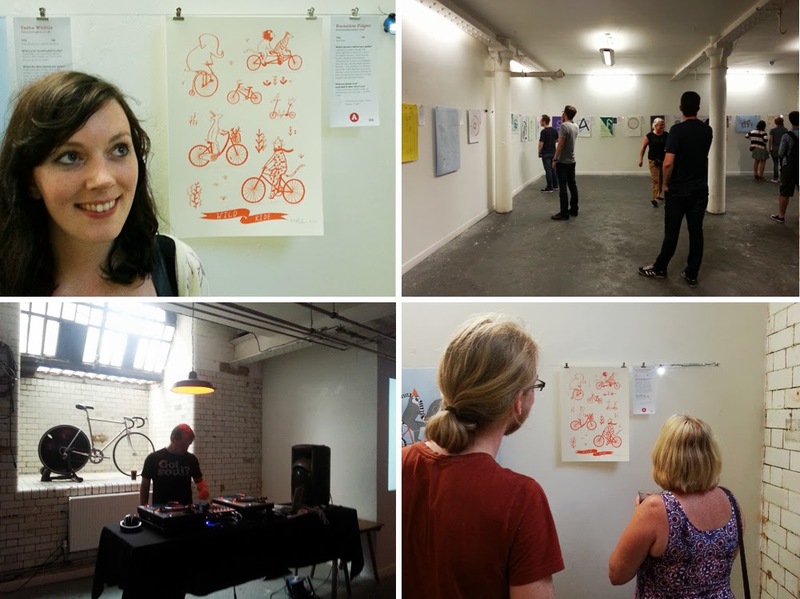 Last Friday saw the launch of the Manchester show from the worldwide art & bike project Artcrank! 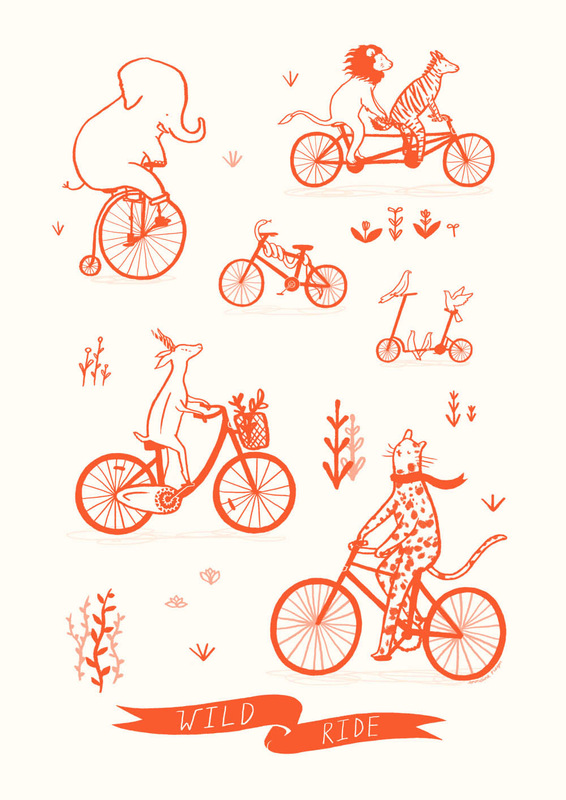 Twenty-six local artists were invited to create a set of original screenprinted posters revolving around the themes of bikes, bicycle culture and the love of the ride. 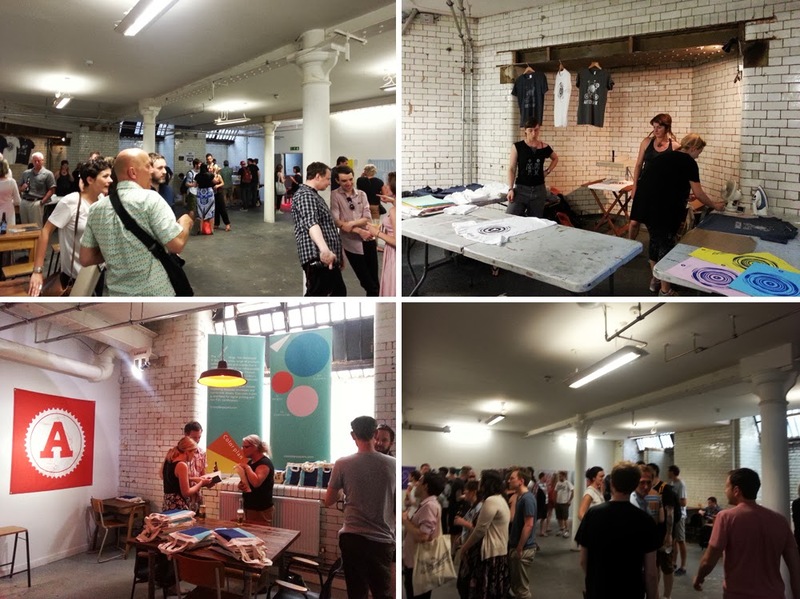 The launch at 2022NQ was a seriously fun evening; with free drinks, DJ's playing tunes, live screenprinting and goody bags from Colorplan stocked full of papery-niceness. The place was packed and had a really great atmosphere. All the prints on display looked absolutely awesome, it's always fantastic to be involved in local events and get to know the pools of talent in the area. With my poster I wanted to create an illustration with a fun and light feel to it - one for kids and adults, for people's homes. I'd recently found a drawing of the leopard in an old forgotten sketchbook (yup, I have a lot of those) and that really inspired the idea. I kept it simple, but with funny little plays like the size of the elephant on the penny-farthing, or the lion almost chasing the zebra on the tandem. I had the prints screenprinted by the talented Savwo - I'd worked with him before in 2011 printing my Riot Clean Up charity screenprints, which came out amazingly - so it was great to see that these came out so well too! Artcrank has had a number of shows worldwide since their 2007 debut in Minneapolis, but this was the first that had headed to the North of England at 2022NQ Manchester, and they got a really great response. All the ltd edition posters were on sale for £30, with a portion of profits supporting Simply Cycling, a nonprofit organization that works to make cycling more accessible to people with disabilities. The show continues until the 5th of August, with remaining posters soon to be on sale on the 2022NQ website. Big thanks to Artcrank for organising the show, the sponsors Retrofuzz and G F Smith papers, 2022nq for having us and Savwo for printing my posters. You guys are ace. If you're interested in nabbing one of my ltd edition & signed prints for yourself I may have a few left after the show, so get in touch!